Dr. Aruna Somani is a board-certified internal medicine physician and founder of Athena College Consultants. She brings over 20 years of clinical and academic experience to the college admissions process. Dr. Somani’s philosophy focuses on finding the right fit for her clients — whether it be a four-year undergraduate university, a combined medical program, or a top medical school. 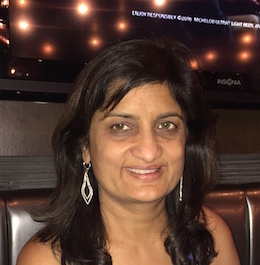 After graduating as valedictorian of her high school in 1981, Dr. Somani earned a B.S. in chemistry from the University of Texas at Austin. She completed her medical degree at the UT Health Science Center at San Antonio in 1989. In addition to practicing medicine for over 20 years, she has served as a clinical instructor at Yale School of Medicine, Indiana University School of Medicine, and the UCSF/UC Berkeley Joint Medical Program. Dr. Somani has a passion for helping students achieve their highest potential. In addition to counseling students on the college admissions process, she advises students applying to combined medical programs (BA/MD and BS/MD) and medical schools. Nikki Somani graduated from UCLA with College Honors in June of 2015. While an undergraduate, Nikki wrote for the Daily Bruin newspaper's Science and Health section, developing a passion for writing and reporting. After graduating, she worked as a writer for the Bay Area News Group. 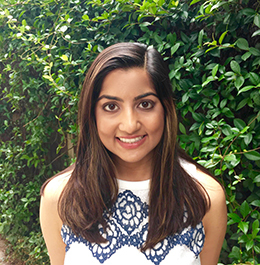 She is currently an MD/MPH student in Houston and is involved in several research projects. In addition to advising students on the medical school application process, she reviews and edits student essays.